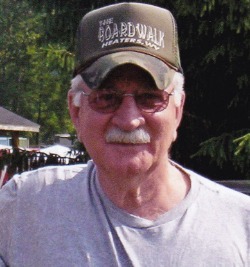 Noah (Junior) Heater born May 6, 1944 in Burnsville, WV passed away Wednesday, October 10, 2018 at home surrounded by his loving family. He is the son of the late Howard “Foss” Heater and Irene “Sis” (Helmick) Heater. He is survived by 3 daughters, Kimberly Dawn Heater and husband Bryan of Chapel, WV, Lisa Dawn Womack and husband, Chris, St. Albans, WV and Lori Ann Smith of Nitro, WV; 6 grandchildren, Haley, Sydney, Kacie, Chloe, Carson and Mason and 1 great grandchild, Tripp. He was preceded in death by his parents, 4 brothers Tom, Roy, Richard and Sam and sister Louise. He was married to his wife, Lena Marie (Pritt) Heater, on January 5, 1987 whom he made his home with. He is survived by 2 sisters Betty Nicholson, Burnsville, WV and Billie Gill, Burnsville, WV; brother, Freman (Sugar) Nicholson, Burnsville, WV. He was a graduate of Burnsville High School Class of 1963 where he was a great football player. He worked construction for Laborer’s Union for thirty-five years. He enjoyed watching football and hunting, listening to the oldies and Bluegrass music. Family will receive friends on Sunday, October 14, 2018 at the Stockert-Paletti Funeral Home 378 Flatwoods Corner Road, Flatwoods, WV 26621 from 2-5 p.m. Funeral Services will immediately follow at 5:00 p.m, in the Stockert-Paletti Funeral Home Chapel with Reverend Ronzel Roberts and Larry Wine officiating. In keeping with his wishes he will then be cremated and his remains will be buried at Knights Cemetery at a later date. Fond memories and condolences can be shared with the family at stockert-paletti.com. The Stockert-Paletti Funeral Home of Flatwoods will be assisting the Heater Family in honoring the Life of Noah (Junior) Heater. 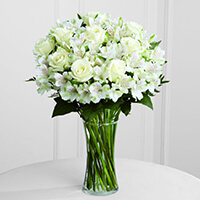 To send flowers to the family of Noah (Junior) Heater, please visit our Heartfelt Sympathies Store. We encourage you to share any memorable photos or stories about Noah (Junior). All tributes placed on and purchased through this memorial website will remain on in perpetuity for future generations. So sorry to hear about Junior. Love and prayers to you and your family. Lena and family: I am so sorry to hear about Junior. My thoughts and prayers are with you during this difficult time. Burnsville won't be the same without Junior. So sorry for your loss but glad he is free of the disease. May God comfort each of you at this time.